Carmelle is simply incredible. 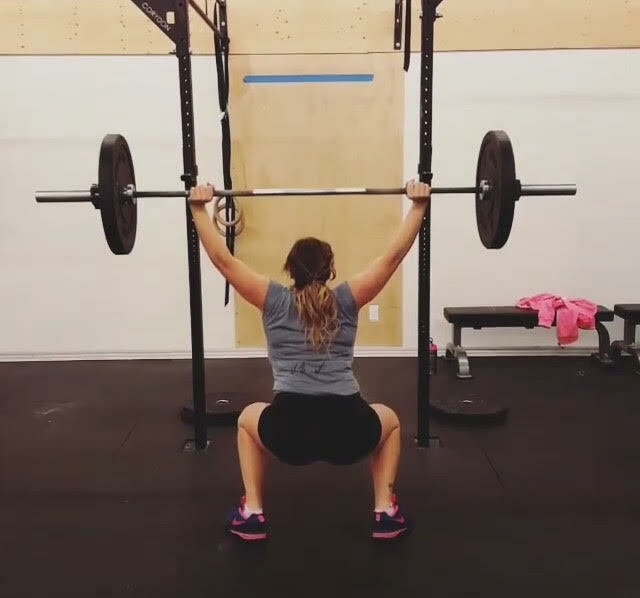 Since joining CrossFit Corydon (CFC) in May of last year, she has progressed in both strength and stamina. She comes to class every day (literally almost every day!) with a goal in mind, a positive attitude and high level of enthusiasm. Looking back at her attendance, performance history and general feedback from our members and coaches over January, she was an obvious candidate for Athlete of the Month and we are really looking forward to seeing where she goes from here! Congrats – CFC Coaching Team. What got you interested in CrossFit and what keeps you coming back? 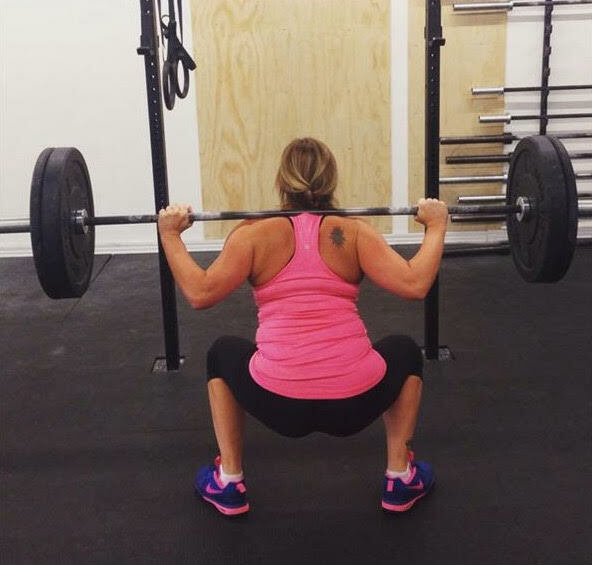 I started Crossfit on a whim. I was sitting at work one day thinking of new things to try and I had heard of Crossfit so I googled it and signed up for a free trial class that Saturday at CFW and the rest is history. I started my on-ramp end of September 2014 so I have been doing this for one year and 4 months. I was hooked from the end of my on-ramp and I never looked back. I joined CFC in May of 2015 and I started doing Crossfit full-time and there is not enough words to describe how much I love it. 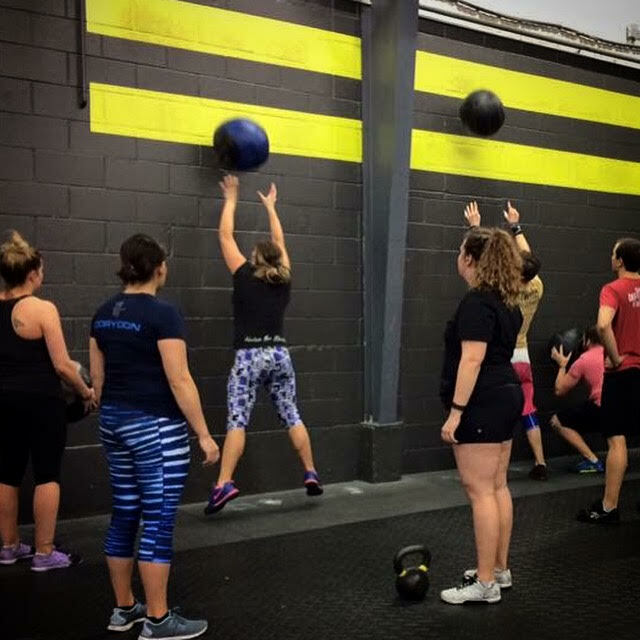 The reasons why I love it is because every class is different and a challenge and the Crossfit group class atmosphere is so positive, it make working out fun. Honestly, Crossfit was that missing piece in my fitness journey. I literally cannot imagine having to go back to a regular gym. Crossfit has changed my body, given me strength, a constant sense of accomplishment and was that one positive thing I so needed in my life. 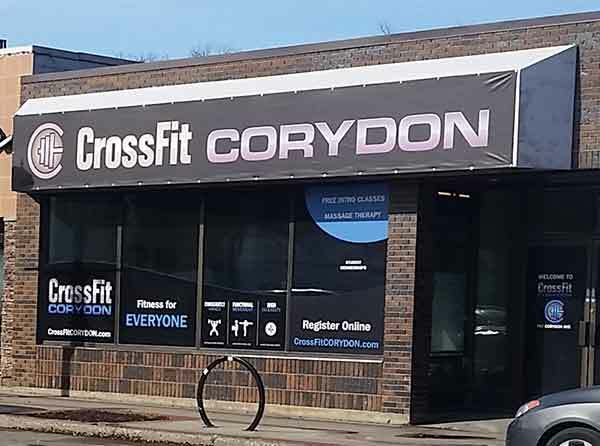 CFC is welcoming, the coaches are superb and honestly the best gym in the city in my opinion! Since I joined CFC I started doing Crossfit 4-6 times a week so everything as improved drastically. Some things that I am pretty proud of are..
And there was point for like 3 months where I could not get past #95 on my Overhead Squat but I got past it and now hit a #120 2RM. Favorite and Least favorite movement/workout and why? 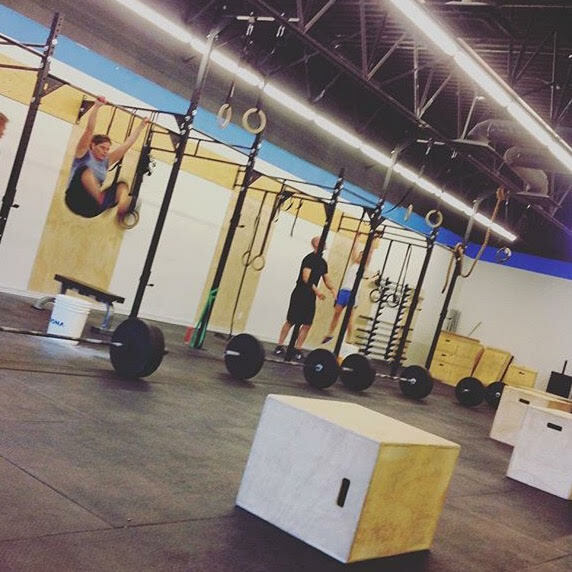 So many things are a favorite but to name a few I love the abs stuff like toes to bar or rings, hollow rocks and planks. The Metcons are my thing and always the highlight of every class. For lifting I would say the Split Jerk, Overhead Squats and Push or Strict Press. Least favorite is the Deadlift. Mostly because it feels like my arms are ripping out of my sockets (LOL) on heavy lifts and kills my lower back. Though… since my technique is improving it is less of a killer to my lower back so my dislike for it is improving. Favourite superhero, band/musician or celebrity and why? So hard to pick just one but I am a huge music fan. Back in the days of CD’s I think I had over 500. I am a big British lover so Arctic Monkeys, The Kooks, The Verve, Amy Winehouse, Oasis tops the list. I also like Avicii, Skrillex to the girlie stuff like Adele, Dido and Norah Jones. And at the moment I just started to listen to City and Colour, which is so good! What is your favourite thing about CFC? The great coaches, the fantastic members, the even better location. I call it my happy place! Travelling is one of my biggest passions. I think I have been a gym member since my teens so staying physically active is important to me and some non-gym related activities I enjoy are roller balding, ice skating, adult recreational dance at RWB. Also I am a huge fan of the theatre, ballet and musicals and I am season ticket holder to MTC. And I am a pretty good cook! First all the coaches are fabulous and each bring their own wealth of knowledge and experience and it doesn’t matter who coaches because they all rock. All are amazing Crossfitters in their own right. Also, they are four really great guys who have become more like friends to me and all have inspired me to keep improving my Crossfit skills and to never quit. Jason is high energy with slick dance moves. His coaching style is fun but his pointers on improving your technique is spot on. He is your biggest supporter whether you succeed or fail at a lift. He is very motivating! And only in his classes would you do metcons to Phantom of the Opera and Olivia Newton-John which by the way is hilarious but so much fun. Matt is the coach I see the less as you will never catch this girl at a 6am class. Matt is a fountain of knowledge and his rubber band tricks (not sure how else to explain them haha) improved my hand stands by 100%. He knows his stuff and every pointer he has given me I have never forgotten and has improved my technique. You are always in for a great class when Matt is the coach. Shane is a great coach also pretty impressive to watch him clean and jerk 300lbs. His coaching style a little stricter than the others as he lets you get away with nothing and the most groans happen in Shane’s class when he makes us non-double under people do tuck jumps. The groans are pretty funny but the tuck jumps work! When Shane is coaching his tips always help me achieve my best. Taylor was there back when I started in my on-ramp and he was a coach in training at that time so I have a bit of a soft spot for Taylor’s coaching style as it is the most familiar to me. He has taught me so much and he is the one who helped me on my deadlift technique, so now because of him, I dislike deadlifts just a little bit less. And watching this guy walk on his hands makes you speechless. Hearing him talk about his fitness journey and following him on IG makes us all look like coach potatoes (lol). He always has a great attitude, plays the best music and just I like his easy going style. Hmmm… well I have lived in places like England, Australia and Israeli. In my early 20’s I would say I spent 3-4 years just travelling and a very good portion of that was on my own. Endless crazy stories and highlights but a few include hitch hiking in Israeli and living on a Kibbutz, visiting Lenin’s tomb in the Red Square in Moscow and driving from Winnipeg to Los Cabos to Playa del Carmen in Mexico and back to Winnipeg.